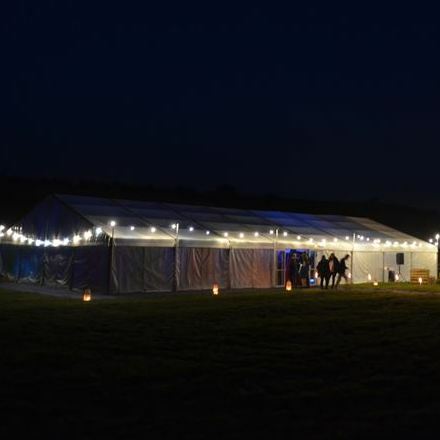 A formal 40th birthday drinks party in Cotswold field, awith a change in gear after the introduction of the band, to a night of partying hard. Neon styling that should look sharp and give a gentle nod to the 90s. 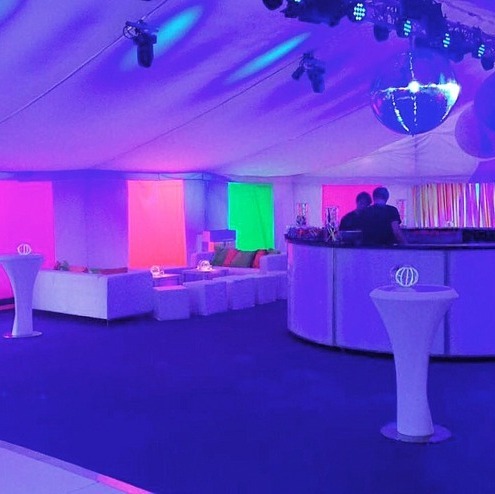 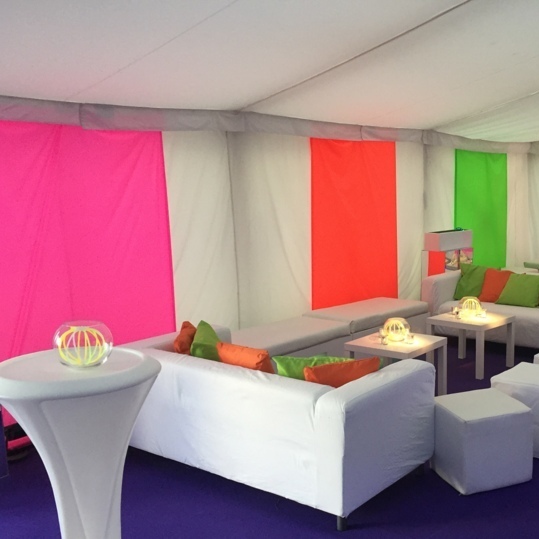 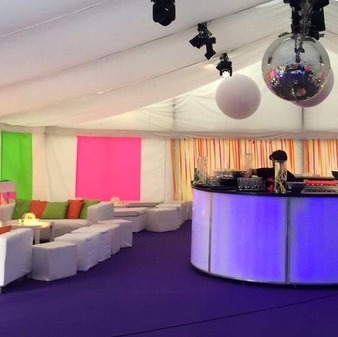 The clean, smooth lining finish had accents of striking neon fabric, ribbon strips, glow stick table displays, internally lit LED poseur tables, UV lighting and overhead installations. 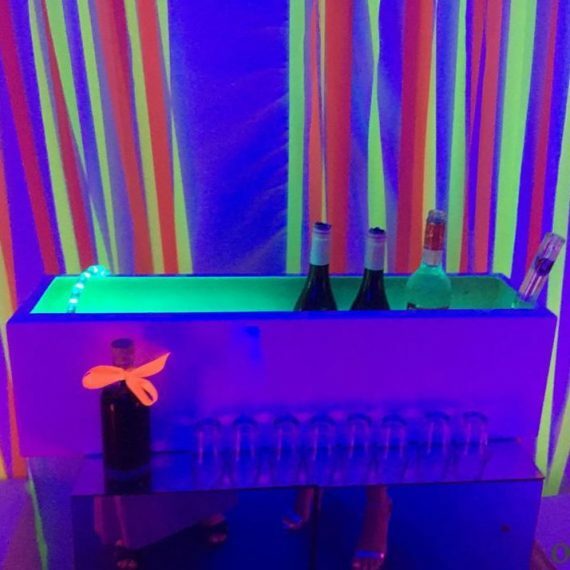 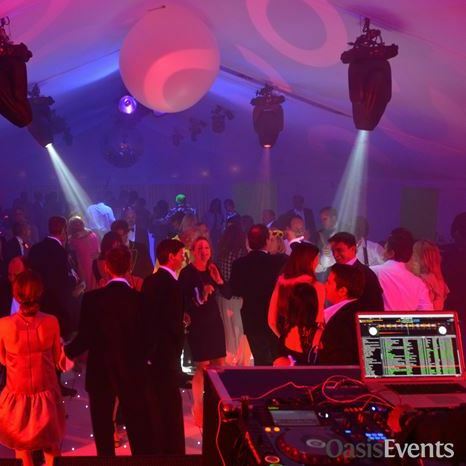 The LED dance floor and bar lit up the space after dark, with cool white chill out furniture filling one end and a serious looking staging rig of sound and lighting filling the other… At the flick of a switch as the name of the band was announced, the neon party shifted into full gear and the music played until the dawn.